Carl Smart Online is the one-stop resource for all your print design needs! Here you will find the solutions for all your requirements – from the outline of concepts and message to the final printing. Brochures are the spearhead of marketing efforts, their purpose is not only to inform the customer about the products or services you offer, but also to emphasize the fact that you offer better solutions than your competitors. 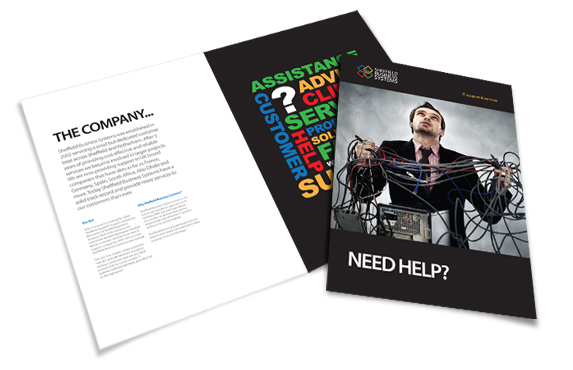 Our approach to brochure design revolves around these concepts and around one key element – your valued input. The creation of such a delicate and important tool for your business must be left in the hands of professional designers. Our experience and skill will ensure that the brochure we create for you will be of the same calibre of marketing materials used by large corporations, but you will pay only a fraction of the price these companies spend on their design.